A couple of weeks ago, Codemasters company told us about the first type of competitions, presented in the upcoming game - the touring racing. And recently the developers have pleased us with another GRID Autosport trailer, which shows the Endurance racing. It has already become a tradition that different racing professionals tell us about the competitions in this game. And the new GRID Autosport video isn’t an exclusion. Among participants of this trailer we may see Matt Bell, Rory Butcher, Joe Osborne, Aleksander Schjerpen and Ahmad Al Harthy. According to the Codemasters specialists, in order to make the endurance contest realistic, they’ve decided to engage the racing experts into its developing. 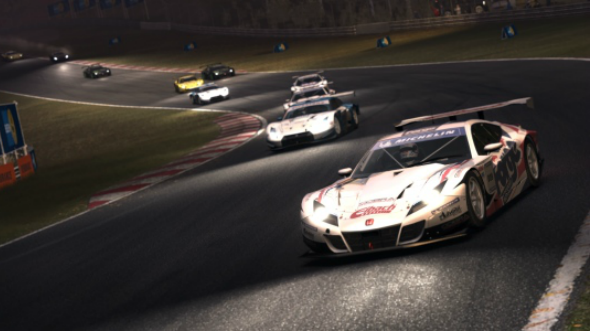 Besides that, as the fresh GRID Autosport trailer shows, the gamers will be able to take part in the endurance competition at night as well as during the daytime. The rides will last longer than the usual tournaments, and the players must prepare themselves for various unexpected situations on the tracks. In most cases your success will depend on the right strategy. Moreover, not only the modern sport cars, but also the classic ones will be available: McLaren 12C GT3, Aston Martin N24 V12 Zagato, Mercedes-Benz SLS AMG GT3, Audi R8 LMS Ultra, Ford GT40 MK1 and others. The players will be able to try them on such highways as Yas Marina (The Emirates), Sepang (Malaysia) and Hockenheimring (Germany). Let us remind you that GRID Autosport will hit PC, PS3 and Xbox 360 in June. But you can pre-order this game now in order to get the Limited Black Edition as a bonus. It includes the exclusive Mercedes Benz SLS AMG Coupé Black Series car, some additional liveries and sponsors. Did you like the latest GRID Autosport trailer? And what types of competition do you prefer personally: the touring racing or the endurance one? We’ll be glad to see your answers in the comments below.